Pacific Mobile Structures has always taken an active role in supporting the communities—our communities—where we do business. As part of this effort, we are proud to host our 8th annual charity golf tournament. 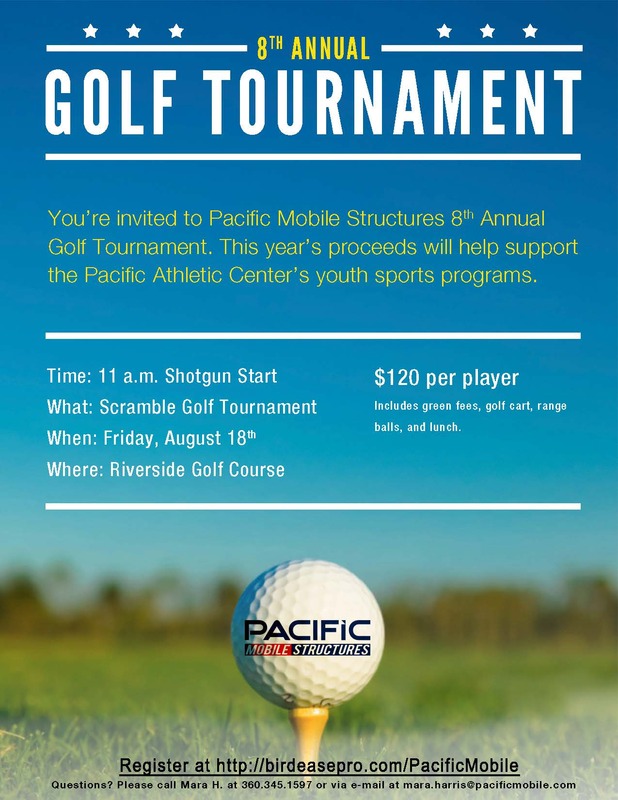 Friday, August 18th we will be hosting the golf tournament benefitting the PAC. Your support over the years has allowed us to keep rental and program fees as affordable as possible. We invite you to join us for your chance to win great prizes and support the development of youth in our community. © 2019 Pacific Mobile Structures, Inc.